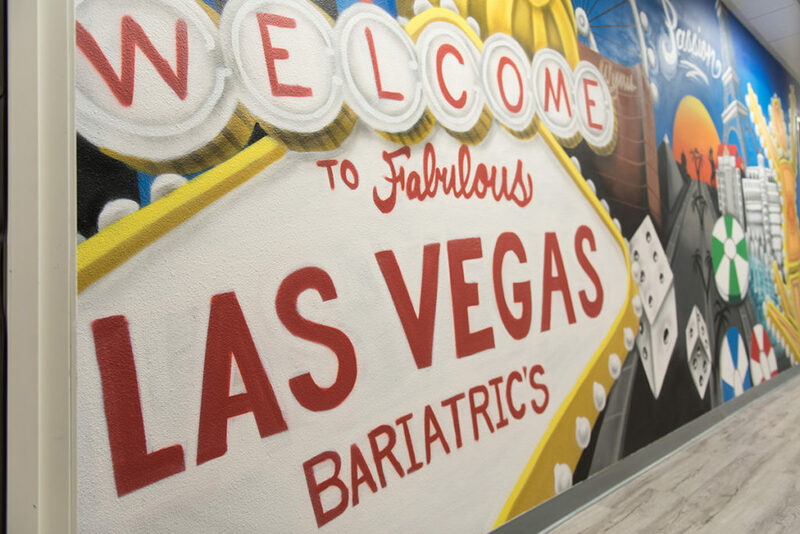 The private practice of Las Vegas Bariatrics was looking to transform their new office into an inspiring and motivational space for their patients. 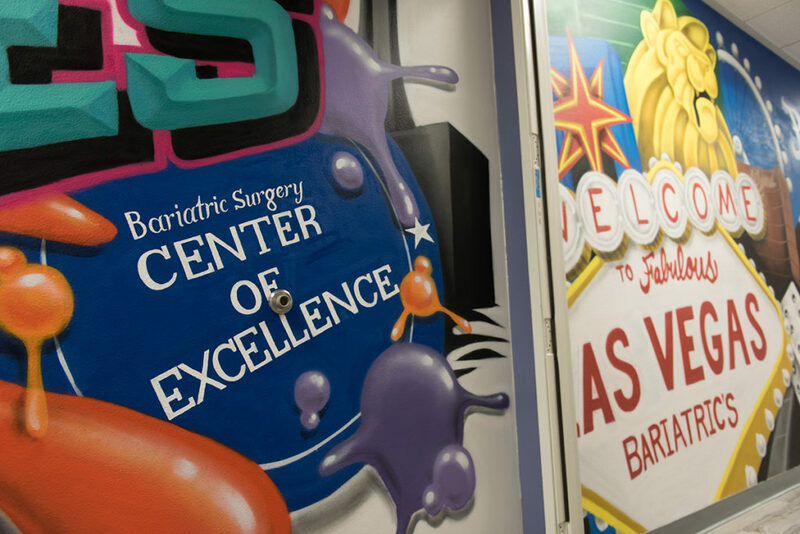 While most patients come to Dr. Bernie Hanna with medical concerns and insecurities on their mind, he was looking to uplift their spirits and support the transformation they are about to undergo with a fun and optimistic environment. 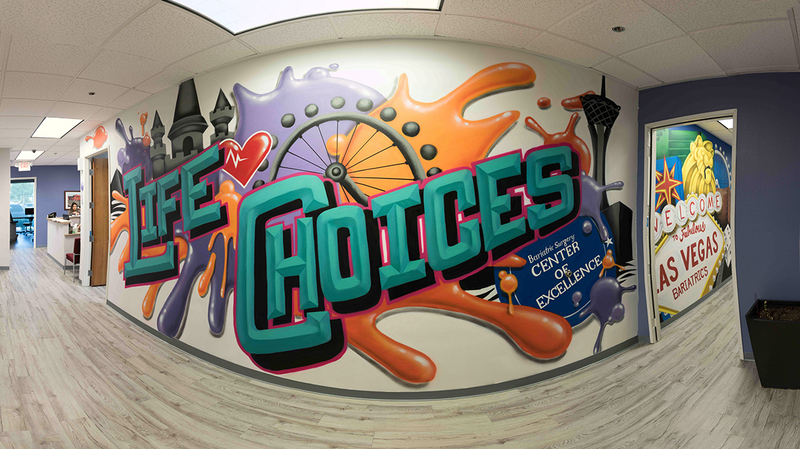 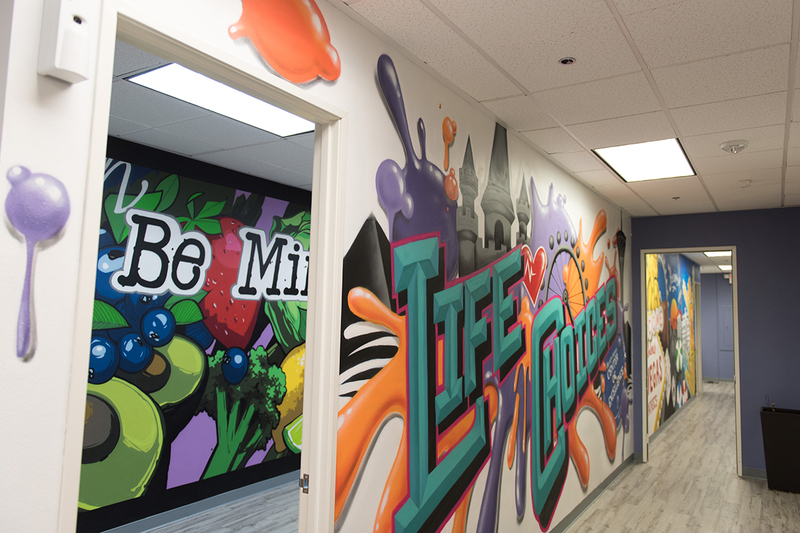 Our team of Las Vegas artists created four unique murals to wrap around the interior u-shaped hallway to the office with an additional mural in their health classroom. 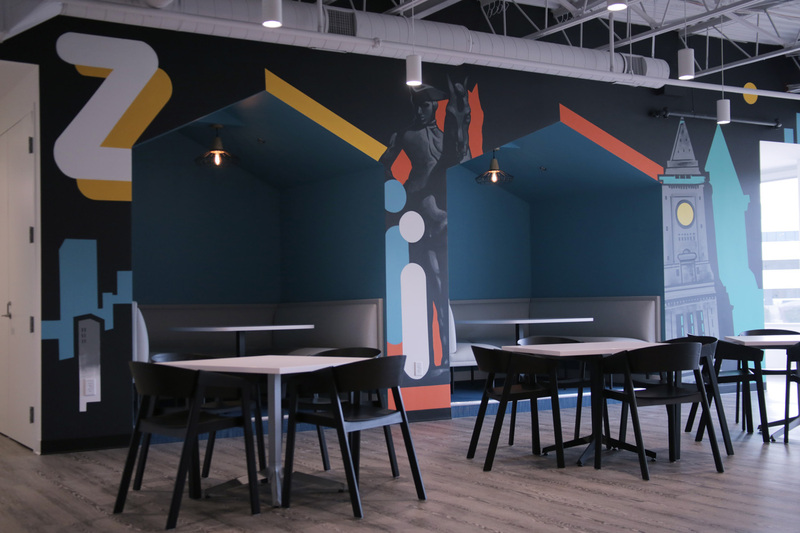 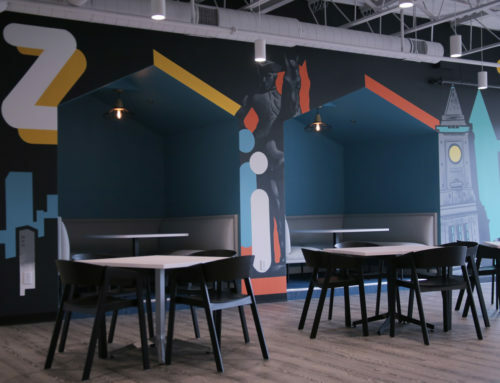 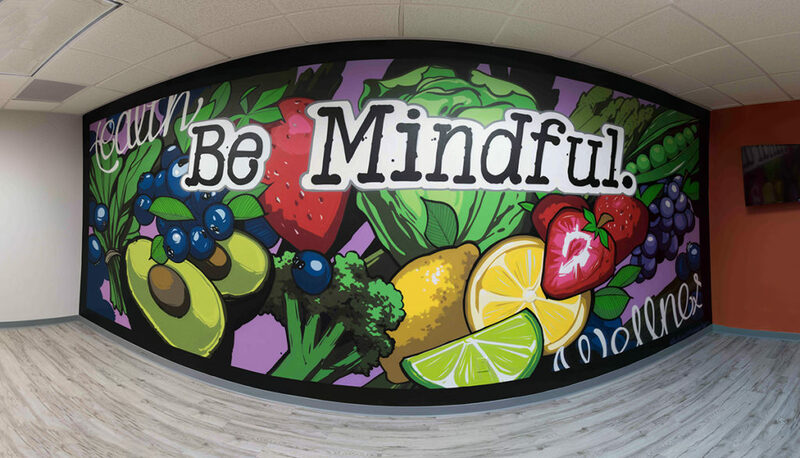 Murals were themed around health, wellness, nutrition and exercise while also tying in relevant nods to the LVB brand, their devotion to quality, excellence and passion, and the surrounding Las Vegas area. 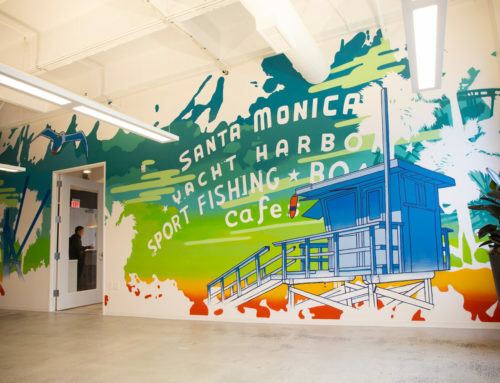 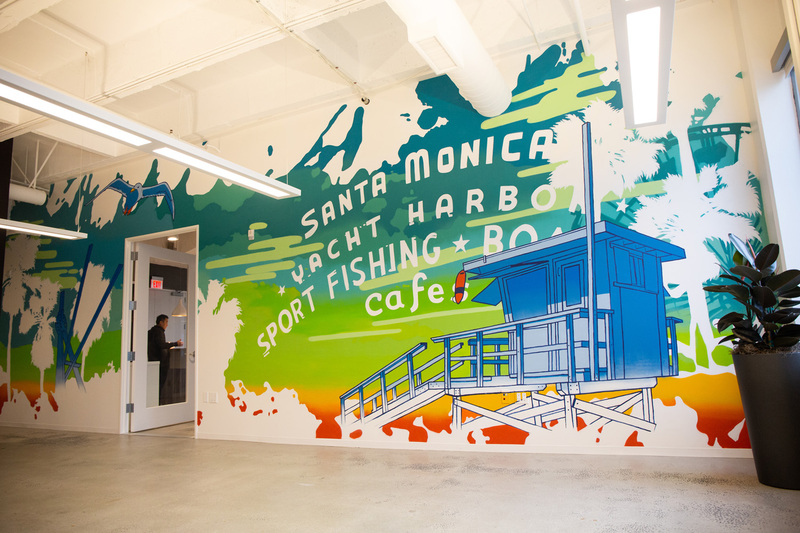 While entering the office, the first mural consists of large letters for the company “LVB” with health-related imagery to encourage a balanced lifestyle. 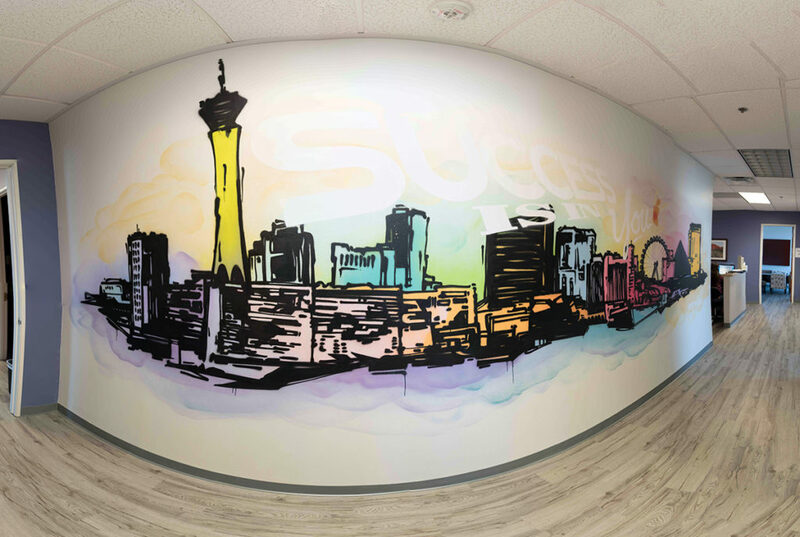 Moving onward to the second mural you can take in views of the Las Vegas skyline and the phrase “Success is in You”. 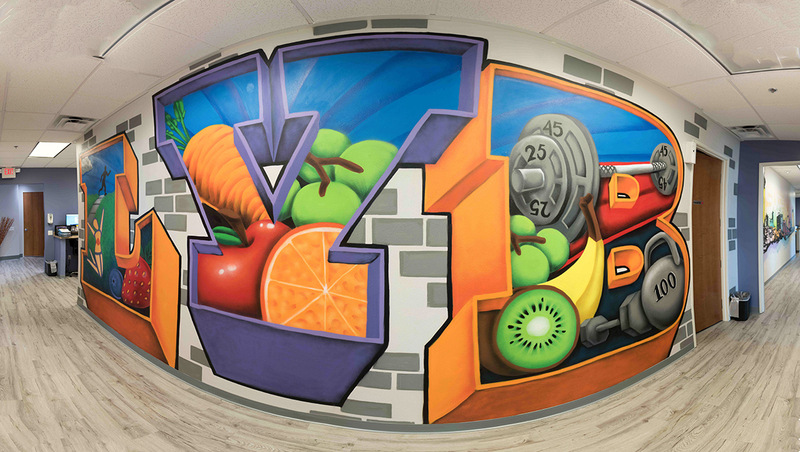 Ducking into the classroom, our artist painted a high intensity, color driven mural with floating fruits and vegetables. 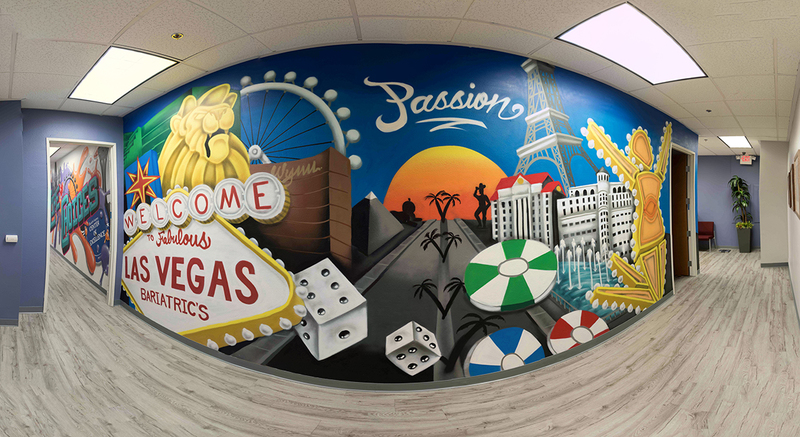 And the last two murals were about “Life Choices” and the exciting life of Las Vegas and is charisma in the new and old settlements. 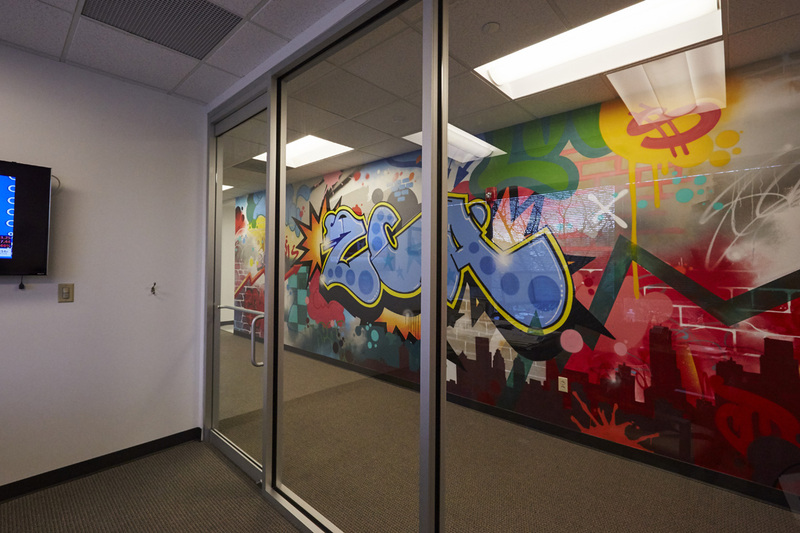 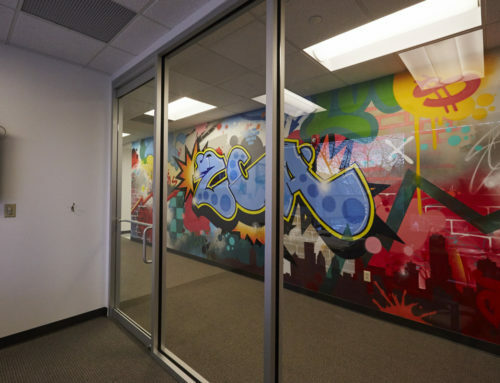 A happy office, makes for inspired and motivated patients, and a satisfied client for Graffiti USA!